Starting off another offseason week, the Colorado Avalanche signed defensemen Mason Geertsen, Ryan Graves, and goaltender Spencer Martin to one-year contracts for the upcoming 2018-19 season. Drafted by the Avalanche in the 2013 NHL Entry Draft with the 93rd overall pick, Geertsen has been spending most of the time developing with former affiliate teams Lake Erie Monsters and the San Antonio Rampage. In 33 ECHL playoff games, Geertsen has totaled seven points and helped the Eagles capture the Kelly Cups in 2017. Logging 117 penalty minutes last season with the Rampage, Geertsen is a large bodied defenseman who provides a physical force on the blue line and is always willing to take a fight or two for the team. Drafted by the New York Rangers in the 2013 NHL Entry Draft with the 113th overall pick, the Colorado Avalanche acquired Graves in the middle of the 2017-18 regular season from the Hartford Wolf Pack, where he would spend the remainder of the season with the San Antonio Rampage. After being acquired by the Avalanche on Feb. 26, 2018 in a trade that sent Avs draftee Chris Bigras to the Rangers, Graves spent the remainder of the 2017-18 season with the San Antonio Rampage. Graves had 17 points in 78 games between the Rampage and the Wolf Pack last season. In 228 AHL career games, Graves has totaled 68 points (22 goals, 46 assists). 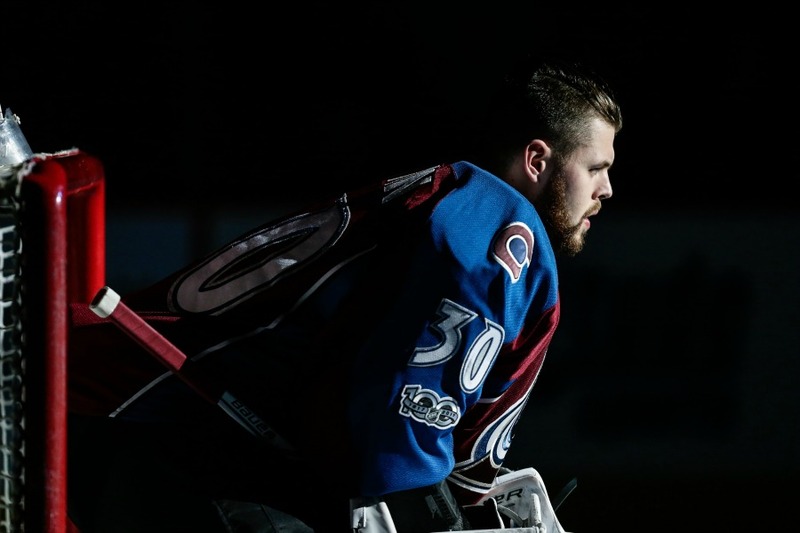 Drafted by the Avalanche with the 63rd overall pick in the 2013 NHL Entry Draft, Martin has been perfecting his skills in the American Hockey League with the San Antonio Rampage waiting for his opportunity to play with the Avalanche for the past four seasons. Martin was 14-15-4 in 34 games played last season for the San Antonio Rampage, where he would a hold a .893 save percentage as the Rampage would finish the season with a 35-31-10 record in the Pacific Division. In 102 career AHL games, Martin holds a 40-48-9 record with a .904 save percentage and a 2.93 goals-against average. Playing in three NHL games with the Avalanche, Martin holds a 0-2-1 record with a .865 save percentage and a 4.35 goals-against average. Martin made a solid impression in his professional debut against the San Jose Sharks on Jan. 21, 2017 where Martin made 27 shots in a 3-2 overtime loss.